More than 1 billion people watch Google's YouTube daily. In official statement Google revealed this stats of YouTube which claims more than 1 billion unique visitors per day. 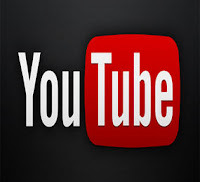 YouTube was started back in February 2005, more than 50,00,000 users joined YouTube in less than 1 year. Google bought YouTube in just $ 1.65 billion, now this website earns more than $1.3 billion in year 2012 alone, only from advertisements on the website, As per Google claims 'Every one out of two users over the internet, watch YouTube daily'.